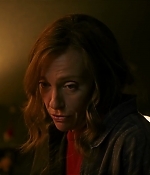 A24 really knows how to stir up our excitement for Toni Collette’s turn in the upcoming “Hereditary”. 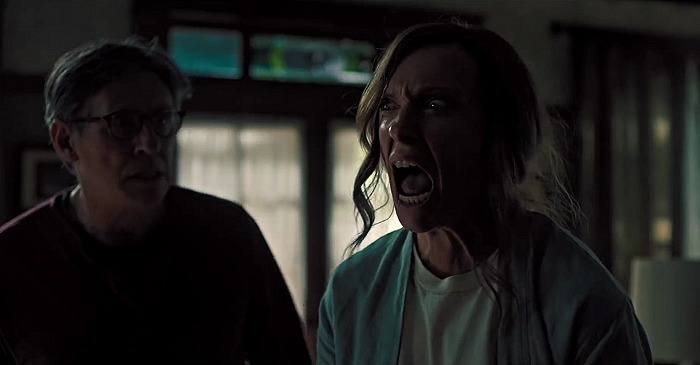 After a scary first trailer and an even scarier second one, they have now launched an official promo entitled “Toni Collette Terrifies” – and boy, she does! Can’t wait for the film’s June 8 release. Watch it below. 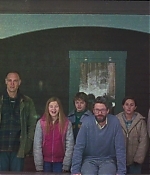 A24 has released a second theatrical trailer for “Hereditary”, and while it’s only running for a minute, it serves to raise the hype that is surrounding the film ever since its Sundance premiere. Fans of the film have already drawn comparisons to horror icons like The Exorcist and Firestarter, though there are also hints of more contemporary twists on the genre like The Babadook and Under the Shadow, and it’s plain to see that the Stranger Things effect is still in full swing. 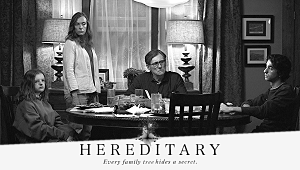 Hereditary will certainly be its own thing … a very, very creepy thing. The first atmospheric and adrenaline-pumping trailer introduced the family drama at the center of the horror film that drives the action and ratchets up the tension, and I’m happy to say this new trailer keeps that spirit intact. 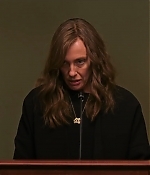 Writer-director Ari Aster‘s feature horror debut stars Toni Collette, Gabriel Byrne, Alex Wolff, and Milly Shapiro, and opens June 8th against Ocean’s 8. 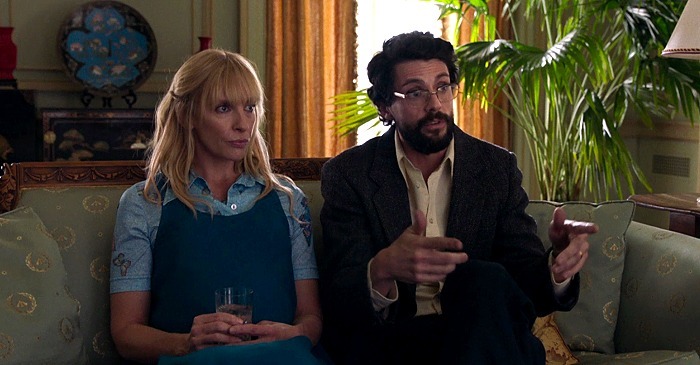 Apple brings us the exclusive trailer for the upcoming Toni Collette-Matthew Goode comedy (or dramedy) “Birthmarked”: Two respected scientists decide to quit their jobs for their biggest experiment to date – parenthood! Raising three very different children, they seek to prove that everyone has the same potential to become anything they choose. The film is directed by Emanuel Hoss-Desmarais and will be released in select theaters starting March 30th, 2018. 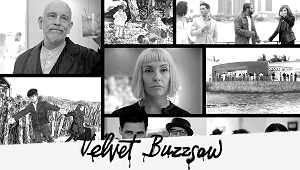 The trailer can be watched in the video archive, screencaptures have been added to the photo gallery. A24 has launched the official trailer for “Hereditary” and it looks SO GOOD!!! 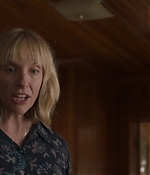 Starring Toni Collette (in a ferocious performance), Alex Wolff, Milly Shapiro, Ann Dowd, and Gabriel Byrne, the story revolves around a woman who begins to uncover the terrifying secrets rooted in her family tree, following the passing of her mother. Here’s the official synopsis: When Ellen, the matriarch of the Graham family, passes away, her daughter’s family begins to unravel cryptic and increasingly terrifying secrets about their ancestry. The more they discover, the more they find themselves trying to outrun the sinister fate they seem to have inherited. Making his feature debut, writer-director Ari Aster unleashes a nightmare vision of a domestic breakdown that exhibits the craft and precision of a nascent auteur, transforming a familial tragedy into something ominous and deeply disquieting, and pushing the horror movie into chilling new terrain with its shattering portrait of heritage gone to hell. “Hereditary” hits cinemas on June 8th. This is a sweet confection that mercifully never gets treacly—part family adventure, part suspenseful nail-biter, and reassuringly life-affirming from start to finish, with fine ensemble work by a first-rate cast, including a lovely bit by Patton Oswalt as a Hollywood cop who restores Wendy’s lost sense of security by conversing fluently in Klingon. But the powerful thread that keeps Please Stand By focused is Dakota Fanning’s deep dedication to her role. Shy, brave, and finding strength in unexpected places, her struggle to hold her sanity in check against overwhelming odds is what makes her performance—and the film—so memorable. For the most part, Lewin uses a straightforward visual scheme. That gives the few subjective flourishes, blending Wendy’s surroundings with those of her imagination, more impact, as when the desolate part of a strange town transforms into an otherworldly desert. Wendy sets out on her life-changing journey. Her sister is soon in pursuit, as are Scottie and her teen son, Sam (River Alexander). Sam’s apparent unhappiness and his friction with Scottie are pointedly introduced only to be abandoned with no further comment. 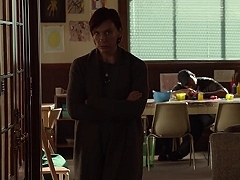 Yet even with that story thread left dangling, Collette communicates plenty with her character’s powerfully wordless reaction to someone’s mention of their single mother. It’s hard to judge Dakota Fanning’s performance. 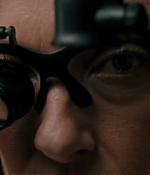 She keeps her eyes fixed, speaks in a monotone, and seems unnatural — but, of course, people at this level on the spectrum are apt to seem unnatural. So she’s probably very good. Although Scottie is a role that Collette could play in her sleep, she remains awake and shows conviction. The movie also has some nice thing to say about fandom along the way (especially thanks to a third-act cameo from supernerd Patton Oswalt) and gives ample time to both Collette and Eve’s characters, with Collette in particular making it look effortless in the role of the sensitive yet no-nonsense Scottie.